Originally released in 1987 at the height of the ‘Freddy’ craze (Freddy already had three movies under his belt, and a fourth on the way. Even by then, he was a veritable pop icon, as Americana as hot dogs). This record contains nine tracks, a mix of covers (from the likes of ‘Wilson Pickett’, ‘The Everly Brothers’ & ‘Sam the Sham and The Pharaohs’) and original songs and instrumentals. The album is everything you expect it to be: screaming 80's drum machines & distortion filled electric guitars being drowned out by synthesizers. 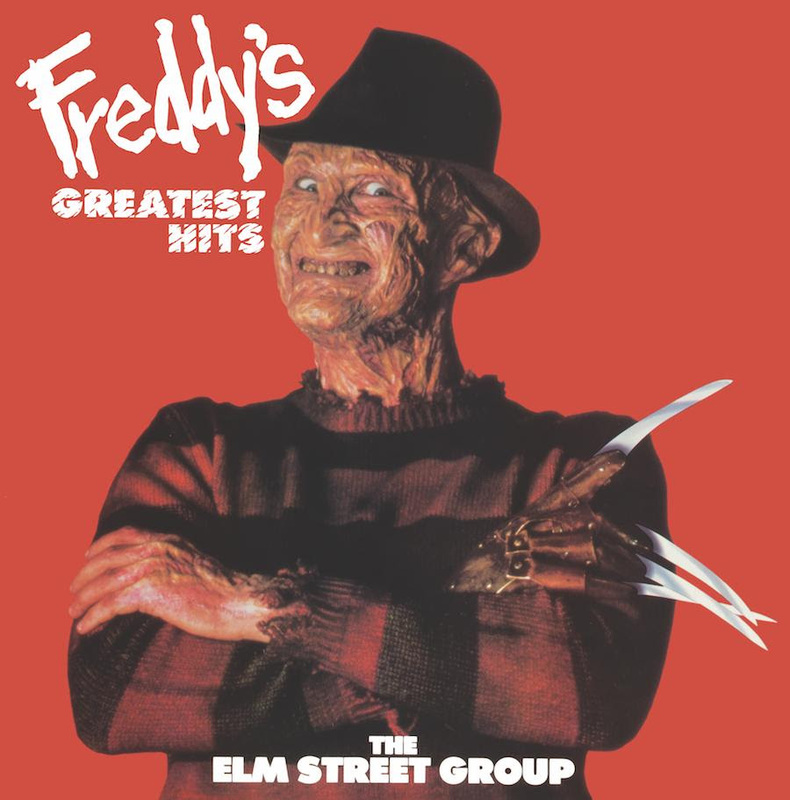 Over the top of these songs is Robert Englund doing the voice (and manic laugh) of Freddy Kruger. The actual music-making was done by the “Elm Street Group”, who were actually much respected studio musicians working for RIC records. Featuring artists like ‘Kevin Kelly’ & ‘Alan Brewer’ who both contributed to Rick Wakeman’s soundtrack for ‘The Burning’.